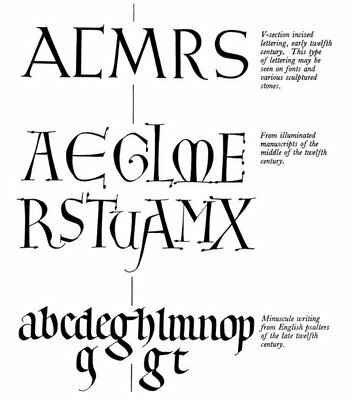 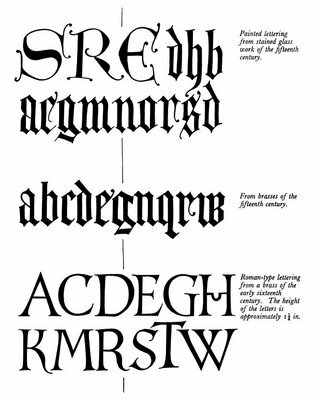 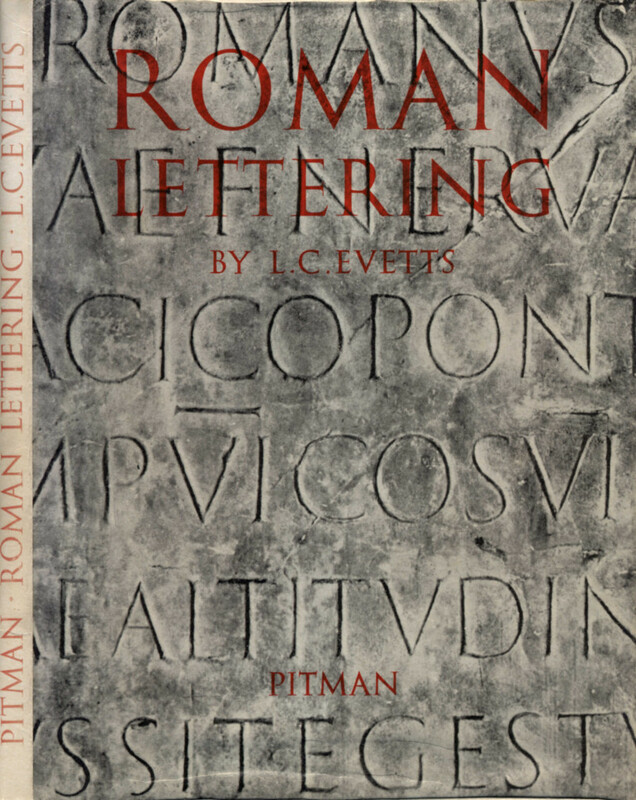 The above images come from 'Roman Lettering: A Study of the Letters of the Inscription at the Base of the Trojan Column, With an Outline of the History of Lettering in Britain' by the master designer Leonard Evetts; first published in 1938. 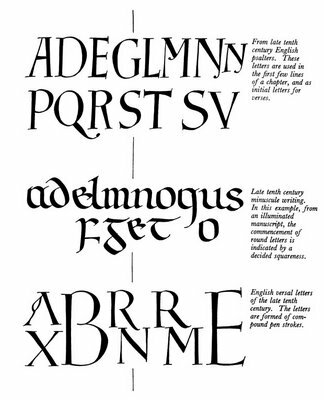 I'm not much of a typophile but I thought these were quite interesting, although I'm not so sure about the copyright status. 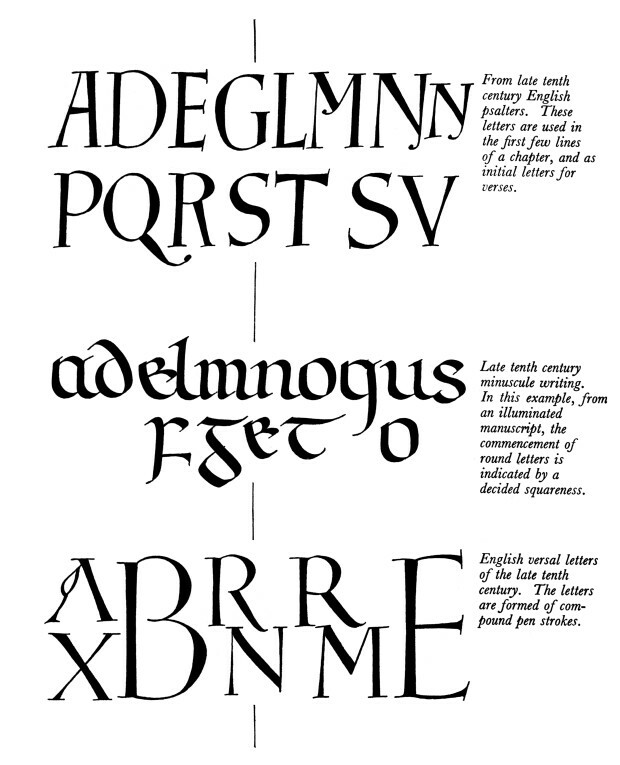 Nevertheless, the whole book is available as a 30Mb .RAR file. 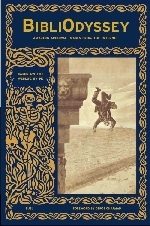 I recall that there was no problem downloading the 7-zip program linked near the bottom of this wikipedia page to retrieve the page images. 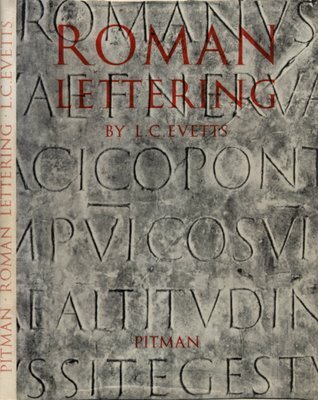 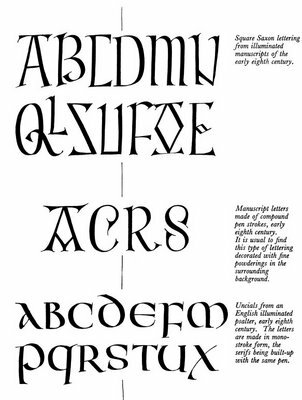 I have no idea how I got there but I found the 'Roman Lettering' book linked at the Ukrainian Typopgraphy forum. 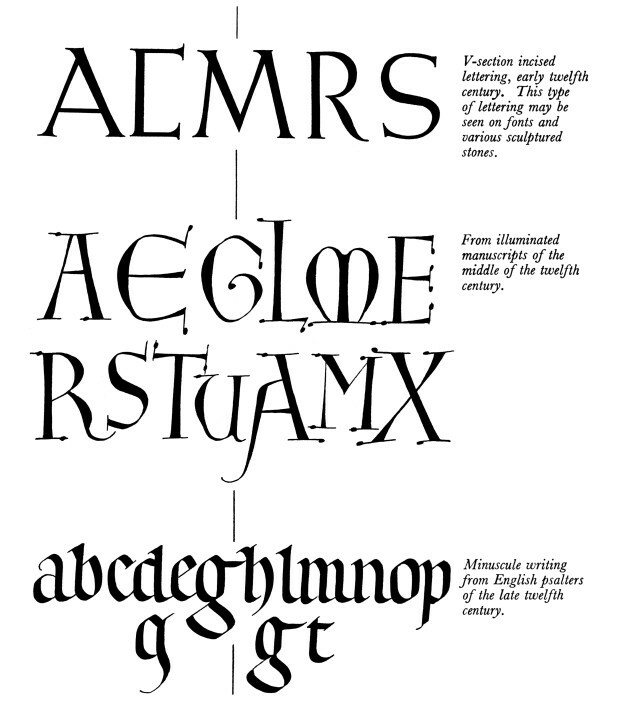 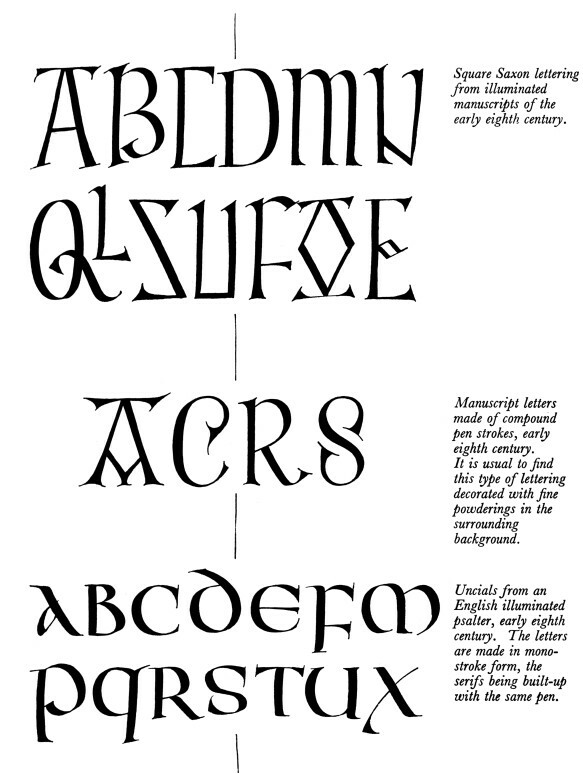 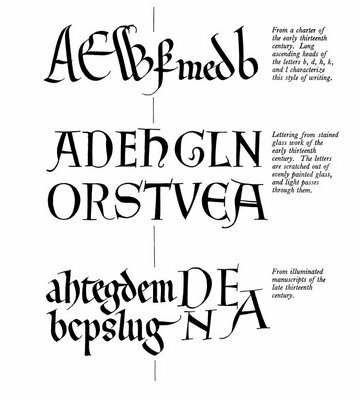 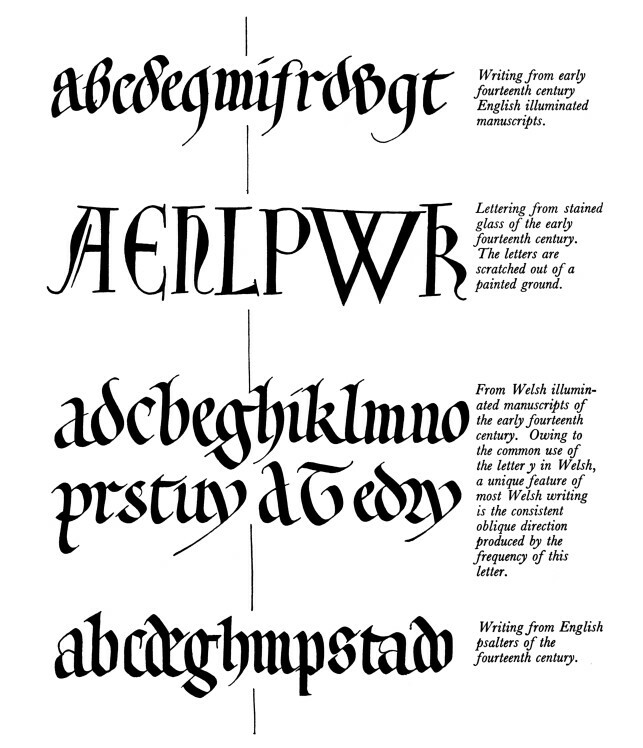 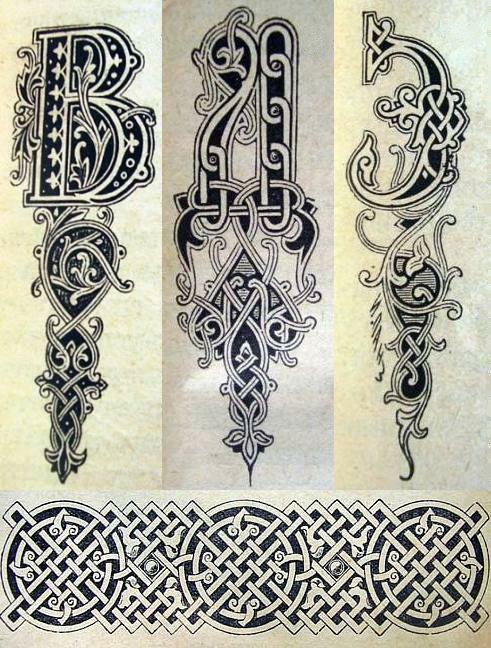 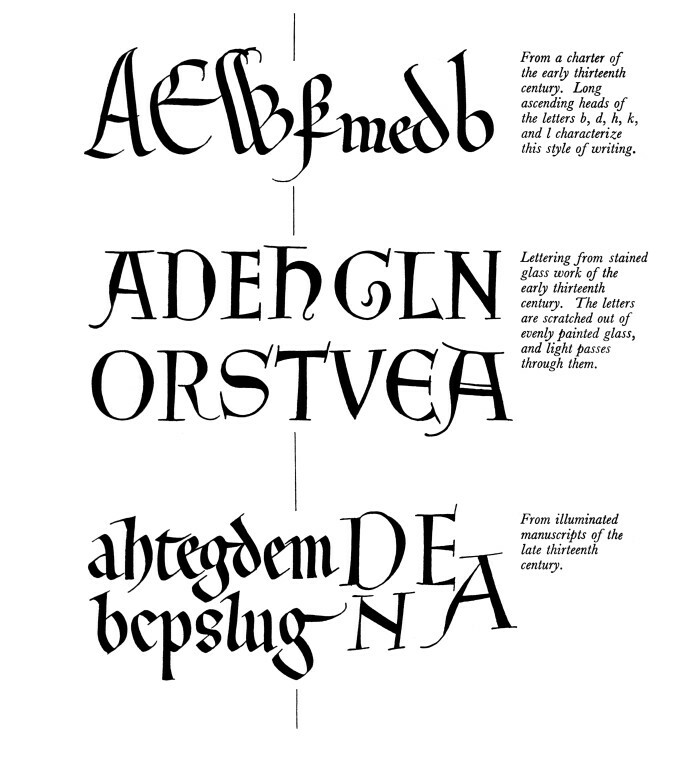 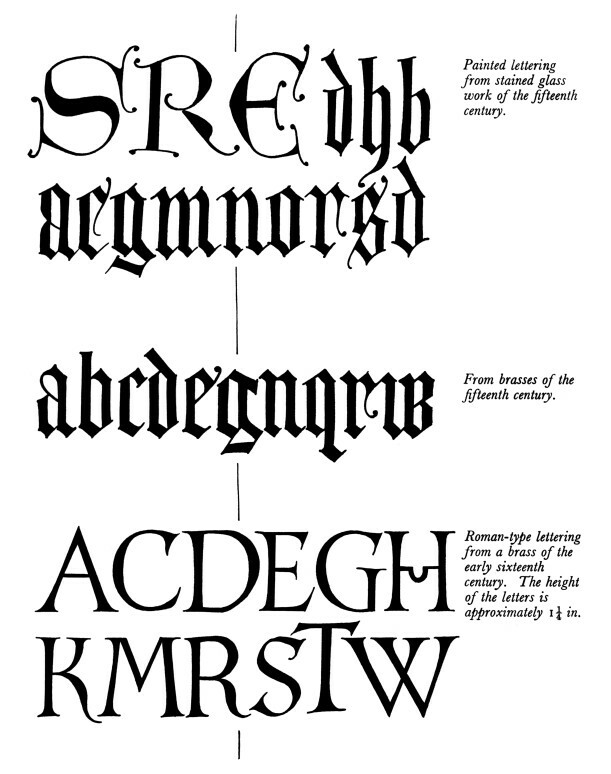 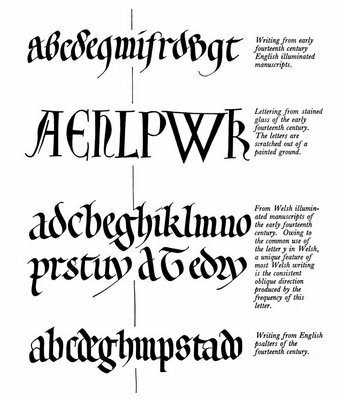 That also led to 3 pages of thumbnail images of knotwork calligraphy as seen in the mashup below [via bullet-13]. Lovely work.